SAINT CLOCHE GALLERY | LOOT! Jan Howlin is a Sydney-based ceramicist, working from One+2 Studios, Balmain. 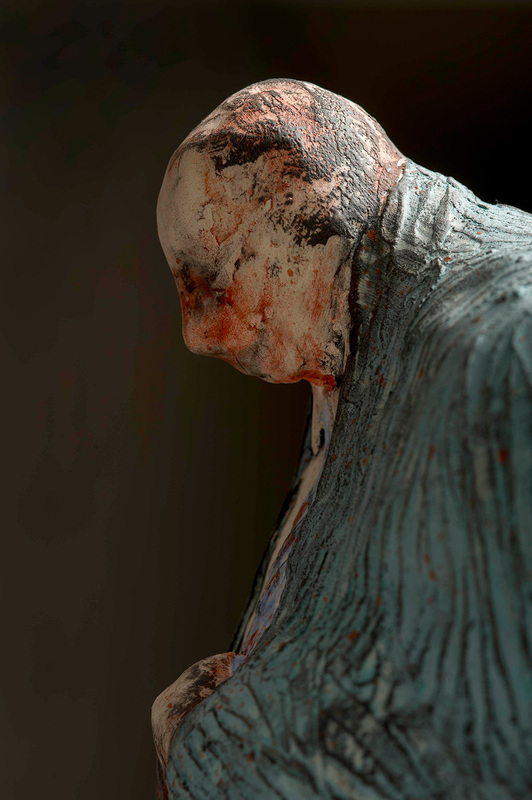 After completing a BVA and an MFA in ceramics from Sydney College of the Arts, she has continued to make ideas-based sculptural work, which she exhibits regularly. She has been a finalist in various awards and prizes, most recently the South Australian Museum’s 2018 Waterhouse Prize. This is her second solo show. In contrast to her previous exhibition at Saint Cloche, Animology, which comprised a collection of vividly-coloured organic forms, LOOT presents a foray into figurative work which has been five years, on and off, in the making. 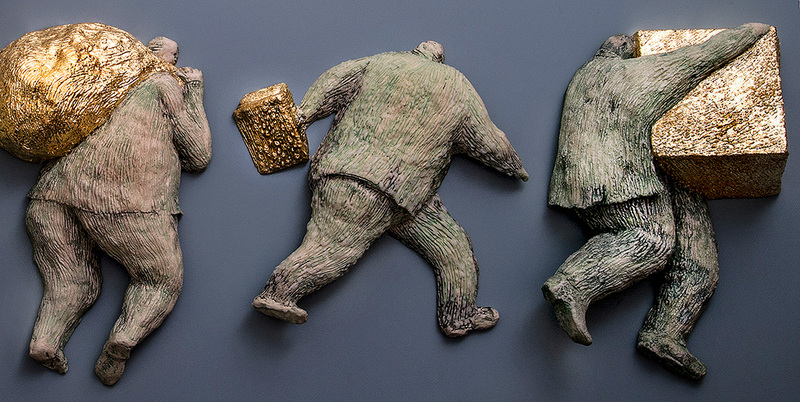 Motivated by endless media reports of greed, corruption and self-interest in the corridors of power, these small-scale sculptural works take a satirical dig at this parade of dodgy dealers and the emptiness of their endeavours. Initially made for fun – for a laugh at the brazenness of the rorts and the rorters – the collection expanded to include around 15 mainly figurative pieces that Howlin came to think of as ‘Top Blokes’. The collection came together as a comment on political and corporate leadership and on power and greed. 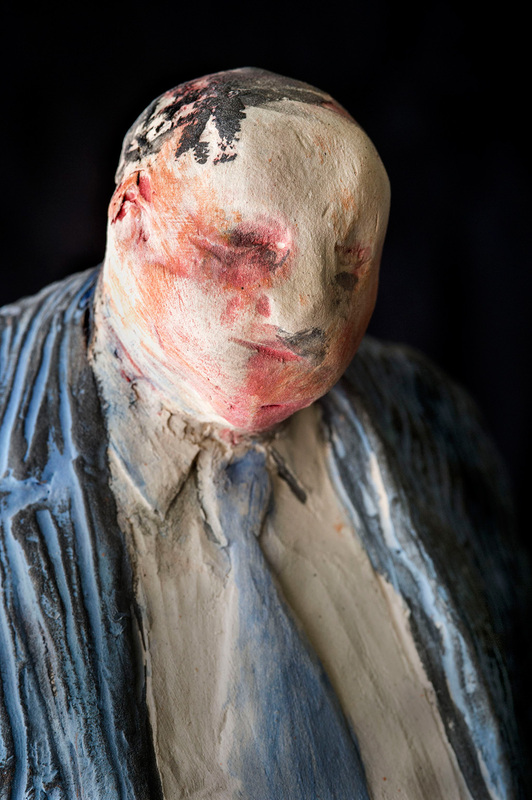 Presented in symbolic form – as bloated figures in business suits – the figures appear in a variety of scenarios that suggest different narratives, characteristics and emotions. At first glance the works are simple and perhaps humorous but as a whole they expand on the all-too human failings that come into play when power corrupts. Hand-built from the ground up, Howlin says the figures were a delight to make, their sketchy faces and body language in particular alluding to the sense of entitlement and untouchability that the deal-makers seemed to share.